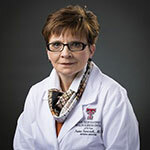 The Texas Tech University System Board of Regents approved promotions and granted tenure to several Texas Tech University Health Sciences Center El Paso faculty members during the regents’ meeting in El Paso, March 1-2, 2018. The meeting marked the fourth time the Board of Regents has met in El Paso and the first time since 2012. Himanshu Garg, Ph.D., assistant professor to associate professor, Department of Biomedical Sciences, Paul L. Foster School of Medicine. 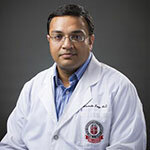 Sumit Gaur, M.D., assistant professor to associate professor, Department of Internal Medicine, Paul L. Foster School of Medicine. 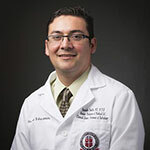 Osvaldo Padilla, M.D., M.P.H., assistant professor to associate professor, Department of Pathology, Paul L. Foster School of Medicine. 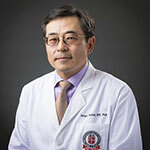 Dolgor Baatar, M.D., Ph.D., assistant professor to associate professor, Department of Medical Education, Paul L. Foster School of Medicine. 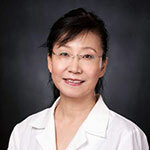 Huanyu Dou, M.D., associate professor, Department of Biomedical Sciences, Paul L. Foster School of Medicine. Irene Sarosiek, M.D., professor, Department of Internal Medicine, Paul L. Foster School of Medicine. Paul E. Ogden, M.D., started his new role as provost Feb. 1, 2018. 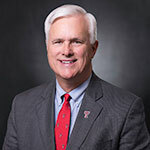 Ogden joins TTUHSC El Paso from Texas A&M Health Science Center, where he served as a tenured professor of internal medicine and held the roles of interim dean of medicine and interim senior vice president of the Health Science Center. Congratulations to all promoted and tenured faculty members. TTUHSC El Paso appreciates your service and dedication to the university’s mission.